We offer complementary valet parking every evening starting at 4pm for our guests. The parking area is closed to the public during valet hours. Additional self parking areas are located on side streets in designated signed areas. We offer live entertainment for special events and DJs on selected nights. Please call for scheduling inquires. 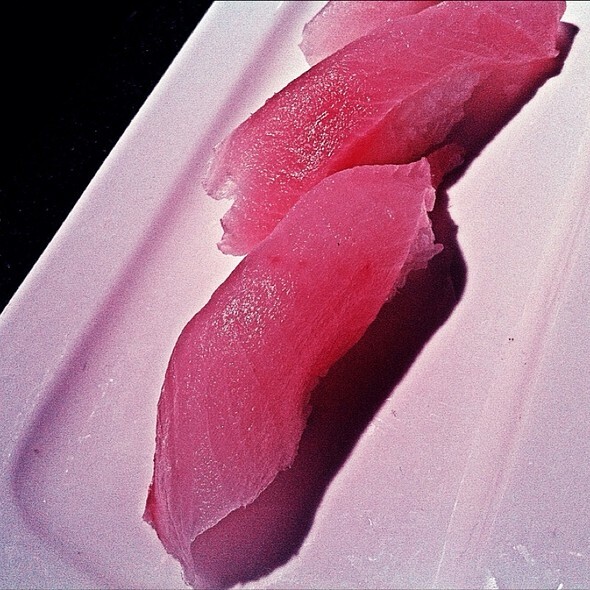 At The Blue Fish, our staff is committed to providing an experience with complete customer satisfaction. We offer a full line of catering and banquet services to help you with your event or gathering. We have organized our catering program to be able to service you in many ways. There are packages designed for pick-up as well as for delivery. We offer a full line of off-site catering services. From the delivery of products for your event, to the break down and clean-up, the Blue Fish is able to meet the specific needs of each event. We were seated promptly at the time of our reservation. The food came out quickly and did not make for a leisurely dining experience. The watermelon drink was not very good. Okay sushi place. Good was great! We had a mix of hot & cold fishes, so the hot food came a bit later than the sushi. We had to remind our waitress of a couple of missing hot dishes. Overall, we had a pleasant experience. Good location if you want to have a nice dinner prior to an event at The Granada, as I did on a Sunday night. I would imagine a reservation is a must on a busier night. My first time to this particular location and the quality and quantity of food was consistent with my experiences at the Las Colinas restaurant. Great experience. Very busy but food and drinks came fast! Awesome wait staff. weird setting but the food was good. moderately expensive for a random night. Waitstaff not very attentive. Food good as always. Took my husband out for his birthday Saturday night. I made a reservation prior and mentioned in special notes it was his birthday but they did nothing. Server seemed annoyed and it was just sub par. Many better sushi places in Dallas. Food was good. Very noisy. Service was spotty. The place was busy but not packed. Everyone was friendly but impression was that they were understaffed for the evening. The service was quick and attentive. Great time. Will be back. Although I made my reservations through Open Table, the hostess at Blue Fish did not have me on the reservation list. Other than that, my husband and I had a great night there. The food and atmosphere were really good. I would have preferred other music than techno playing though. Effecient service, incredible quality, music low, high attettion to detail, clean bathrooms and again, the quality of the sushi was superb. Well worth the 1 hour drive, we will be back asap!!!! The food was great per usual. Ive gone to the Greenville Ave location many times and always have a awesome experience. Sadly, this past experience wasn’t so great. It was really pack but that’s expected on a friday night. My waitress was definitely busy and took fooorrreevveerr to attend our table. I’m not one to make a big deal but sseisouly she was slow. I don’t know if it could of been the amount of tables she had but i knew she kept forgetting us. We ordered 1 drink each. Instead she sent us a bottle of wine. That probably took a good 20 minutes just waiting on drinks to be corrected and another 20 just waiting to place an order. Then we get our food but no silverware. We had to wait and flag her down eventually so we could eat. I just hate that i couldn’t enjoy my conversation because all i did was wait for my waitress to flag her down. I love Bluefish food and have never gone through this but i do hope they get more staff on busy friday nights. Our server Ashley was really great. She was patient and polite. The other person in my party was a rather picky eater, but she made suggestions and accommodations. She along with the food made for a really great experience. Service is sometimes not the best, but the food is great! Service was great! They accommodated a last minute increase from reservation to another couple joining us. My wife, son and his friend ate there yesterday. 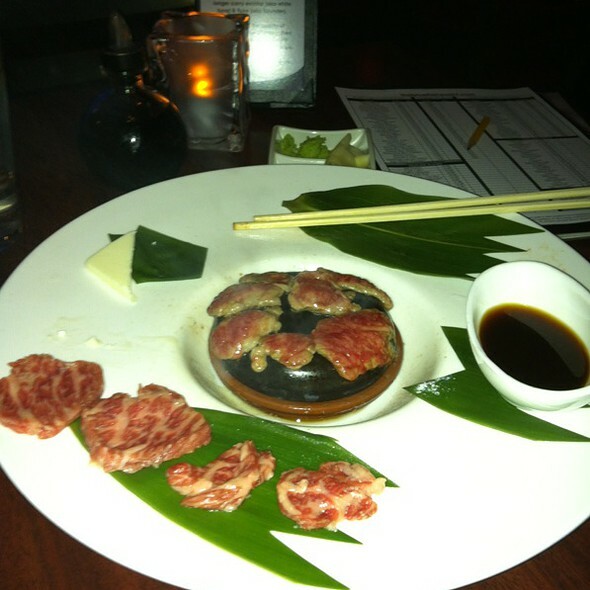 We were impressed with both the quantity and the quality of the food. We arrived around 1:00, so we didn't have any issues with it being crowded. We were in the area to see something else nearby, had no plans to eat there when we headed into that area, and were all pleased that we stumbled into it. Great food...terrible service. Just make sure you're aware and expect it before coming here. These days, the name and the chefs are what keep this place alive. Bad service! I should say NO service at all!!! Always great. Excellent food and service. Perfect for business meal. Indoors is very noisy after 7pm. But food is delicious and very consistent...always good. We had a party of three on Sunday evening. There were no other guests ahead of us as we walked in, but still had to stand at the host stand/entry for almost five minutes before being seated. The server was nice. A bit soft spoken, but informative and polite and checked on us regularly. The sushi was decent and the prices were reasonable. We will probably try it again in the future, but we didn't leave wanting to return right away. The sashimi salad was perfect!! Worth $20! So good!!! Husband had a few rolls and ate every bite, which is not typical. Rolls were excellent. Wine selection is perfect and half off bottles on Sunday. Win win. Sat on the patio and got sprinkled on a little bit, but it wasn't raining hard, thank goodness. Food is always fresh and tasty. 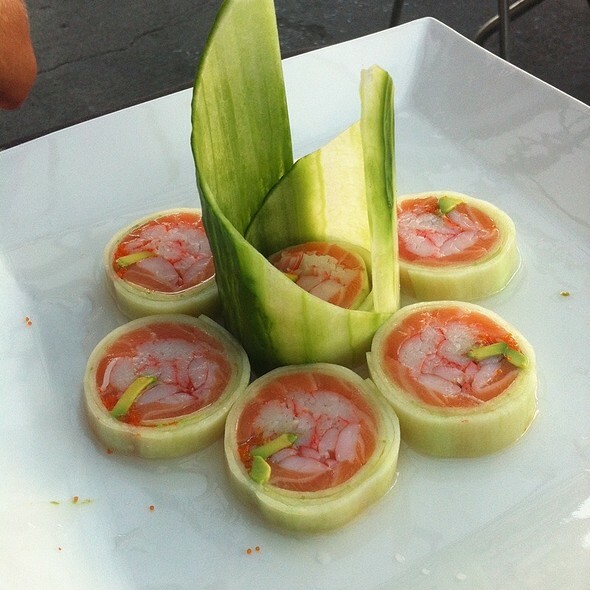 We will continue to make the drive to get sushi that's so fresh, great service and valet parking! 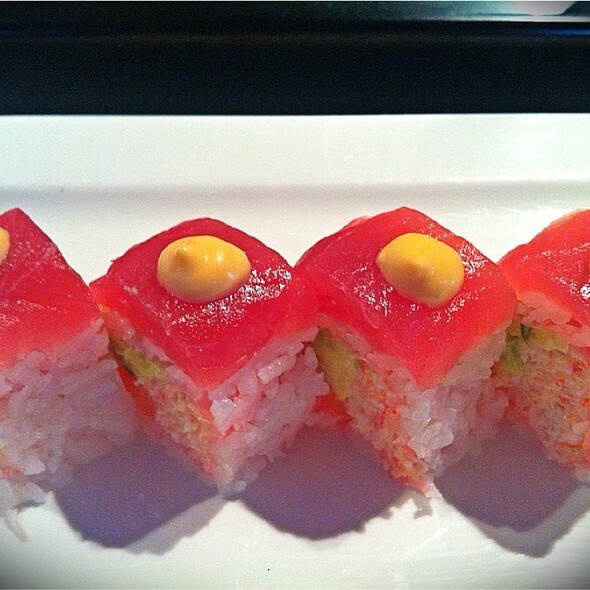 We ordered a spicy tuna roll that came out hot, and the tuna looked like it came out of a can. And the calamari looked and tasted like it was out of a frozen bag. Very disappointing. A friend and I both had a sushi/shashimi bento box and we both loved every bite. For lunch it was very reasonably priced and we will definitely be returning again for lunch soon. The service was terrible and slow. Our server was NO where to be found. It took about 45 minutes for us to finally have our appetizers delivered, then another 40 minutes for our 2 simple rolls to be given. Upon asking where our food was, our server said "oh no one has brought it to you"? Granted, the restaurant was not even packed at 9:15 pm. Choose elsewhere if you plan on having a date night. Hostess was rude. Waitress could not be bothered with us after we placed our order, except to ask if we wanted another alcoholic drink. Had to flag someone down to get water😬 I will never spend my time and especially money here again! The hostess wore a scowl and was ill tempered. The place was mostly empty but we waited quite a while for service. When we used the menus we had been given we were told they were lunch menus and we couldn't order from the lunch menu. When we did order some wine we waited for a while then we were told they were out, so we ordered a different wine and waited... the sushi was good but the overall experience was not. We just love this place and come here all the time!!! 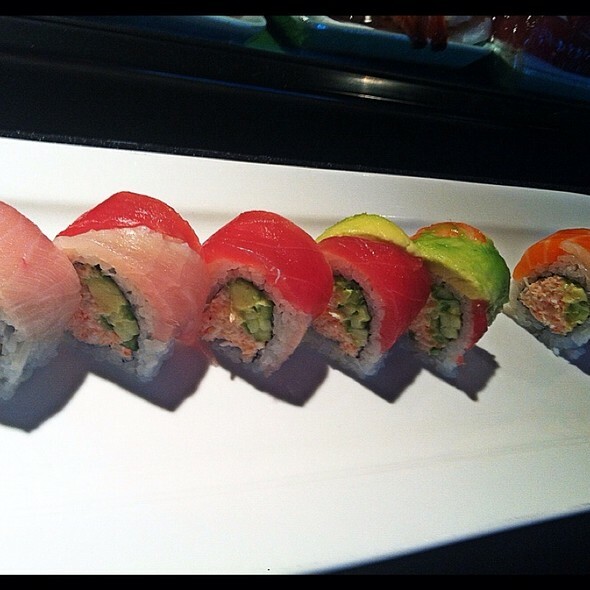 Best rolls in Dallas!!! An appetizer was forgotten completely, but I wasn't charged for it. Odd, because the exact same thing happened last time I came here? 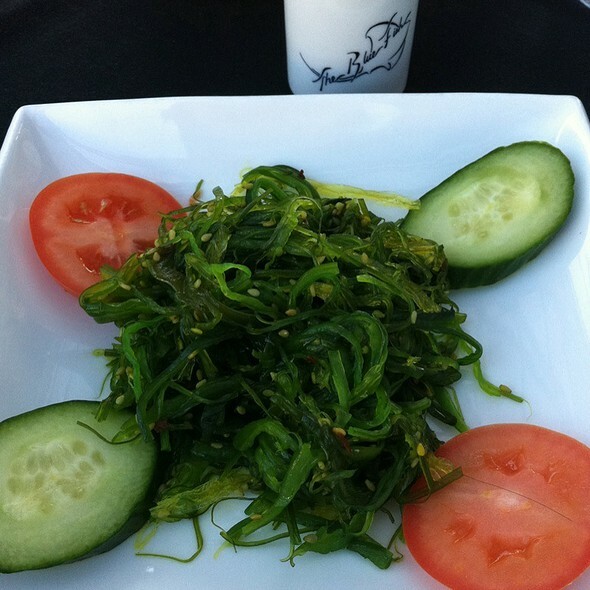 We had great expectations after having dined at the Blue Fish in north Dallas. Those expectations were not met at the Blue Fish Greenville. 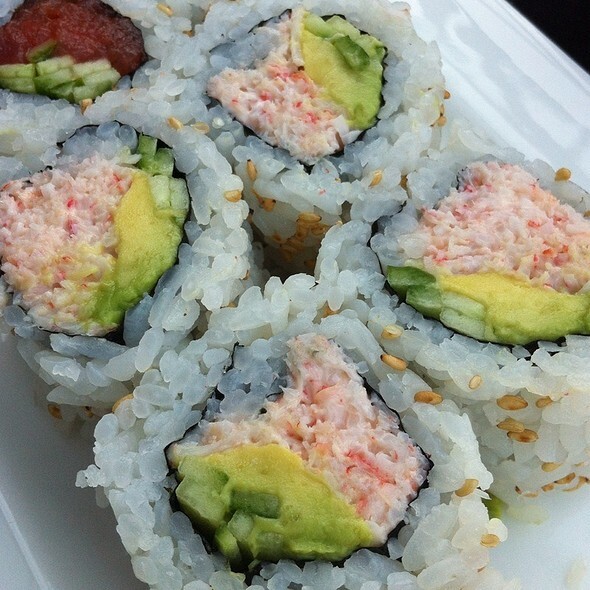 The Alaska roll was just alright, with nothing spectacular about it. 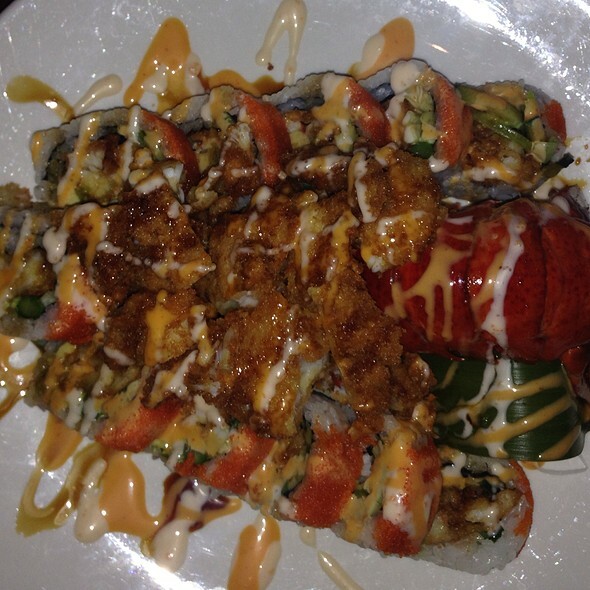 I have had better Alaska roll at Eatzi's. However, both our orders from the dinner menu (steak teriyaki and Chilean sea bass) were terrible. The vegetables tasted like microwaved frozen vegetables, not fresh. The steak seemed like it had been sitting for some time and had cooled off before being delivered to the table. I'm sure if we had just ordered sushi it might have been ok, but for the price of the items on the dinner menu, we probably would have been better off finding a different restaurant. Always delicious! Lively and one of our favorite places. We like sharing 3-4 mini plates instead of getting different entrees. Solid sushi menu. 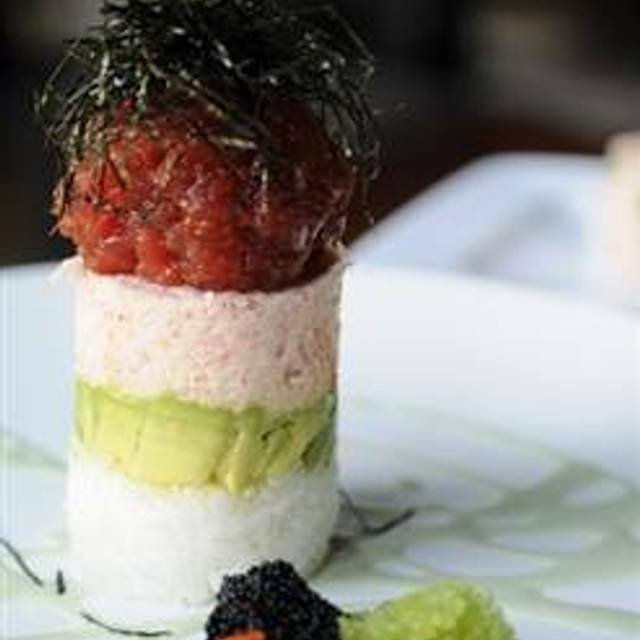 Love the ahi tower! Squid salad and firecracker roll are consistently yummy. This is a very busy restaurant, so one should consider reservations. Also, they seem chronically understaffed, so service is frequently VERY slow. A bit on the pricey side and very loud! We had a really great server and the food was quite good.